The directors of Britain’s companies are feeling the pressure from the growing risks and responsibilities they face – to the point where a majority are seriously questioning whether it is worth being a director at all – and those at small-to-medium sized enterprises are bearing the brunt. These are the main findings of a major survey conducted in August by TakeLegalAdvice.com – an online service that matches businesses with law firms – which questioned 918 directors and senior managers at companies in the United Kingdom. More than half of company directors polled – 55% – agreed that being a company director ‘is no longer a great job’, while 58% said that the risks and responsibilities of the role are increasingly outweighing the rewards. The proportions of SME directors – those at companies with between 2 and 249 staff – who say the same are higher still, especially those at companies with fewer than 10 employees, 61% of whose directors agreed with the statement. Opus Energy – a leading independent electricity supplier to businesses – have just launched Opus Evolution, a real-time online energy purchasing system that gives customers direct access to wholesale electricity markets. 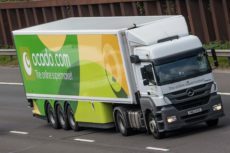 The system, which, for the first time, gives smaller (non-half hourly) customers the chance to take advantage of pricing deals normally only offered to larger (half hourly) customers, is the first of its type in the UK. Windsor Telecom Plc, UK’s 2nd largest provider of 0845 memorable phone numbers and inbound call solutions has published a free guide to relocation aimed at UK businesses of all sizes. The two handy guides, for the corporate and SME markets, provide valuable information on how to make the right move, an essential ten step plan to successful moving , and a comprehensive directory of useful contacts. A new website is set to provide an easy boost for anyone seeking venture capital or private equity funding. Investor Search is a specialist search engine that will greatly simplify the task of identifying investors with interests or preferences that match a company’s investment needs. It is designed for trading companies that need capital to grow, for start-ups looking to get off the ground or potentially anyone in the investment community. With an average annualised turnover of £25 million, The Commercial Group is the largest independently owned office services company in the UK. In its 17 years of business it has built a reputation based on exceptional customer service, superior consultancy and a quality product range. Determined to continue to spearhead change within its market place, Commercial works tirelessly to innovate, promote best practice and, where necessary, instigate debate to ensure the standards it has set itself as a company challenges others to assess their own processes and systems. With this dynamic background it may be surprising that the Directors have thrown all of their efforts into a campaign across the business to embrace a culture which is unashamedly green. But because the business is at the top of its game it is crucial that it continues to seek ways to further differentiate itself from its competitors and this is where the almost messianic drive for green credentials has been put at the heart of the corporate agenda. Naturally where there are leaders in industry there are followers and what once set you apart can eventually become a standard offering. For Commercial its ability to anticipate change and ensure it can accommodate it, whether it is an e-commerce solution or software integration, has enabled the company to not only develop and grow but remain the supplier of choice to over 6000 companies. A belief, held by many, that ‘It’s not easy being green’, still seems to prevail for many small-to-medium sized businesses. Upheaval, cost, disruption, unfeasibility or simply a belief that such changes are the responsibility of the multinationals are just a few of the reasons that some managers have previously cited for their inactivity in this particular area. Today, things are changing, but more still needs to be done, and the current business climate is structured to allow SMEs to actually lead by example, showing the way for big businesses to follow rather than hoping that a lack of action will pass under the radar unnoticed. Corporate social responsibility is so named for a reason – it’s a responsibility, no matter what size the organisation – and it’s one that the Government is willing to encourage with financial incentives. Not to take advantage of attractive options – before they become uniform legislation anyway – seems foolish, especially as it’s almost guaranteed that for every stubborn manager that resists and continues to swim against the sea, there is probably any number of competitors taking advantage of the many cost-saving sustainable options that are available. It’s tough for would-be entrepreneurs carrying the tag “budding” in front of their career description. But it’s a stage they all go through – somewhere between having the idea to go it alone and taking delivery of the executive jet. For most budding entrepreneurs it’s a familiar picture: you wake up at 6am to start your work day, only you aren’t heading into town to sit at some comfy corner corporate office suite. You might still put on a suit and tie, but you are in fact only headed as far away your home office, which is, in fact, a desk in the corner of the lounge. With the cat and dog as your only company, you begin to settle down to work for the day. The problem of purchasing within small and medium-sized businesses is that it has often developed as the business has grown with little or no discernable plan. Whilst there may have been some rational strategy regarding direct materials, with indirect costs (which although they account for a smaller proportion of the spending are necessary for the organisation to function), the result is often that of unplanned trial and error. In February last year, The Intergovernmental Panel on Climate Change (IPCC) 4th Assessment Report warned that climate change is the single biggest threat to businesses and societies globally. As efforts to increase awareness of climate change and carbon footprints continue, more businesses of all sizes are starting to think about how they can deal with the impact of their activities and the business benefits of doing so. There are a number of reasons why it is increasingly important for businesses to be taking action on the environment. Regulation of carbon emissions and fiscal measures affecting business are scaling up – with new sectors being brought into the EU Emissions Trading Scheme in 2008, and the EU setting more stringent targets for carbon emissions from new cars, to the UK’s Renewable Transport Fuel Obligation and the Carbon Reduction Commitment in the UK Climate Change Bill from 2010. One of the most important challenges for business is to get to grips with the size of the problem with a comprehensive audit and ongoing measurement, and to take a strategic approach to managing and reducing carbon footprints. Rumours that flexible working is the future of business have been feared and dismissed in equal measure by owners of many small and medium-sized companies. If you’re running a multinational with hundreds or thousands of people then it’s pretty straightforward to jiggle a few working hours here and there, ask some people to change shifts or cover absences and keep everyone happy. But when you’re in a smaller firm, it’s not so easy. The personnel are simply not available to cover shifts, the budget doesn’t extend to recruiting new staff and the work still needs to get done. Offering staff flexible working arrangements has previously been an overlooked consideration and the potential benefits particularly undervalued. However, having a productive workforce in place has become increasingly important as companies strive to be more competitive. The traditional working week of nine to five from Monday to Friday is gradually becoming a thing of the past and having strict working hours in place is proving inadequate to meet the demands of modern day practices. Yet despite this, many companies are still failing to recognise how incorporating flexible working patterns, such as flexi-time and home working, into their strategies can have a profound impact on their business efficiency and overall success. Formal training schemes and lengthy inductions are the norm in larger companies. When it comes to smaller businesses there simply isn’t the time, money or resources available for such programmes. Almost half of all small companies in the UK carry out no staff training, according to recent research carried out by the independent Small Business Research Trust (SBRT). Not surprisingly, the survey also found that the smaller the company, the less likely it is to offer any training at all, whether that be internal or external. Only 40 per cent of micro companies have formal training, while 69 per cent of small companies do. Topping the poll are medium-sized businesses, with a significant 87 per cent offering a structured programme that staff have to undergo. Everyone has to admit that moving offices is a bit of a pain. If you’re shifting the whole company it can be a nightmare. Even the initial excitement over the promise of a room with a view starts to wane when you’re dropping your files, desk photos and potted plants into cavernous grey crates. Your only hope now is that you’ll be reunited with them once they reach their new home. But if you’re running a growing small business, it’s highly likely that you’re going to have to move out of your current workspace at some time in the near future. The prospects of this are often met with mixed reactions – of joy and of absolute horror. 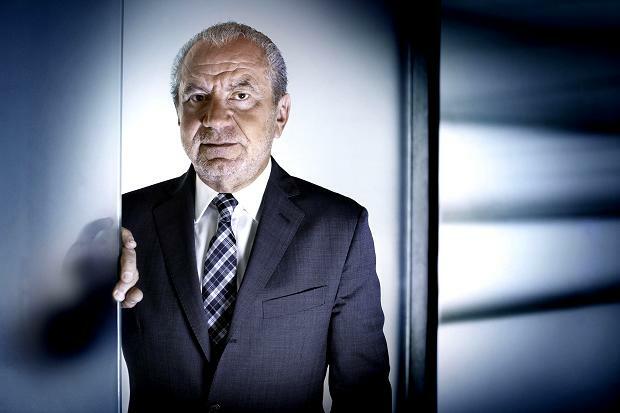 Sir Alan Sugar has no problem doing it. In fact, he’s making a whole media career out of it and he’s even coined a catchphrase to go with the action. ‘You&’re fired’ he cries with sadistic glee at the end of every episode of BBC’s The Apprentice.